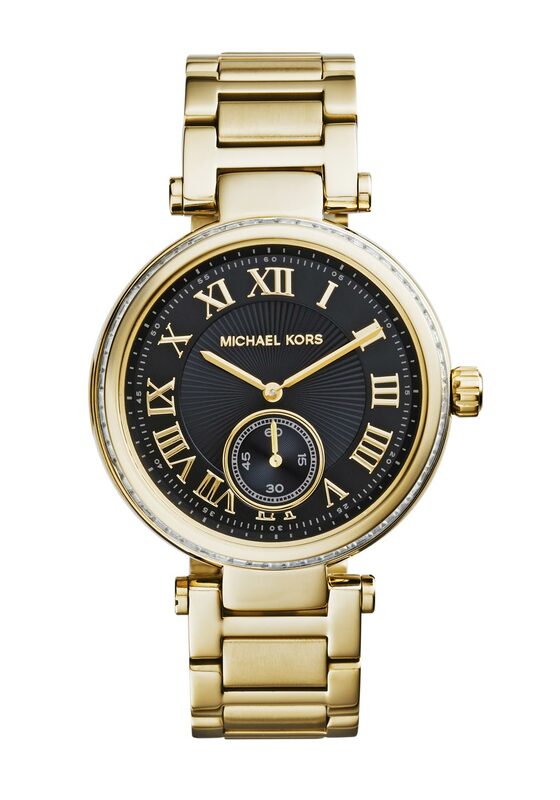 Traditional enough to be timeless yet glamorous enough to elevate any outfit, the Skylar watch from Michael Kors will become your new favourite accessory. 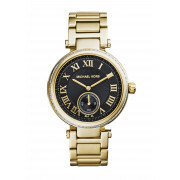 A baguette studded bezel surrounds a glossy black face which features gold plated Roman numeral and a sub dial. A gold plated chain link bracelet completes the stunning timepiece.